Ever heard of gender-budgeting? Isabell Wutz explains the concept and how it can be used to promote gender equality. Over 100 years after the first European women won the right to vote – in 1906 in the Grand Duchy of Finland, then part of the Russian Empire – our society still struggles to achieve equality between men and women. 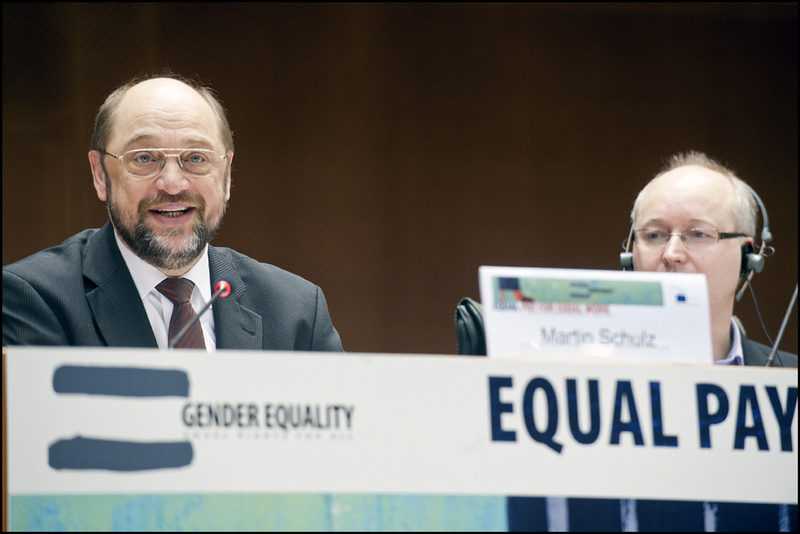 Some efforts aside, it can simply be put: there is no gender equality in Europe. There is still a 16,2% gender pay gap on average in Europe and only 4% of leadership positions in banks or finance ministries are held by women. Although a small and powerful group still believes in traditional roles and austerity towards women, gender equality is generally seen as a moral responsibility and it has been widely recognised that women empowerment and increased engagement in the labour market boost the economy and increase tax revenue. Sad to see that it takes the hope of financial and economic gains to support the cause of equality for some, but sometimes the goal is more important than the reasons behind it. And money and gender equality have been linked together since forever, so it should come as no surprise to link both together for a solution. For many experts, this solution is gender-budgeting. How does it look like in Europe? Gender-budgeting is a strategy that has been on the agenda of the EU budget process since 1999. Since then its importance has decreased to a point that the objective of gender equality has been merged into other field to the extend that it is barely noticeable. Gender-budgeting is not mandatory for member states and therefore has a shadowy existence. One country, however, has emerged as a role model on the international stage. Austria has enshrined gender-budgeting in the federal constitution, one of three countries to do so in the world. Article 13, which was included in 2009, states: “Federation, Länder, and municipalities have to aim at the equal status of women and men in the budgeting.” For example, Austria changed its tax laws. By reducing taxation on secondary earners, the state encouraged more women to vote. When England invested in free universal childcare for children from the age of 6 months, they cut the gender pay gap by 3% and the employment gap by 5%. These are noble examples, but exceptions. We still see discrimination for women when it comes to budgeting in Europe. In Germany for example, single parents, which are mostly women, have almost the same taxation rate as single people and are not recognised as families, which would give them lower taxation. Abolishing inequality is a moral responsibility. Next to this, improvements in gender equality can contribute to sustainable, inclusive and economy growth and an increased GDP. Constraining women’s potential is a loss for society, but also a loss for the market. Gender inequality is not only a result of cultural gender roles or norms, but it is also based on discrimination of women through societal structures. It might take a long time to change cultural and social roles, but abolishing structures on a governmental level to fight inequality should be easy enough to make it obligatory for every state in Europe. At a recent hearing in the European parliament, experts gathered and emphasised two things: firstly, there is a great knowledge out there on how to apply gender-budgeting; and secondly, there has been a static decline of gender-budgeting in the European Union. The current proposal of the Multiannual Financial Framework — the EU budget for the period 2021-2027 — is the latest example on how gender equality and gender-budgeting have been given lower importance than in the recent past. The objective to reach gender equality has been included as within other themes, giving it less and less priority. In 2018, fostering gender equality cannot be a choice. Everyone has to commit to defending it without excuses. And gender-budgeting is one easy approach for it, so let’s do it.